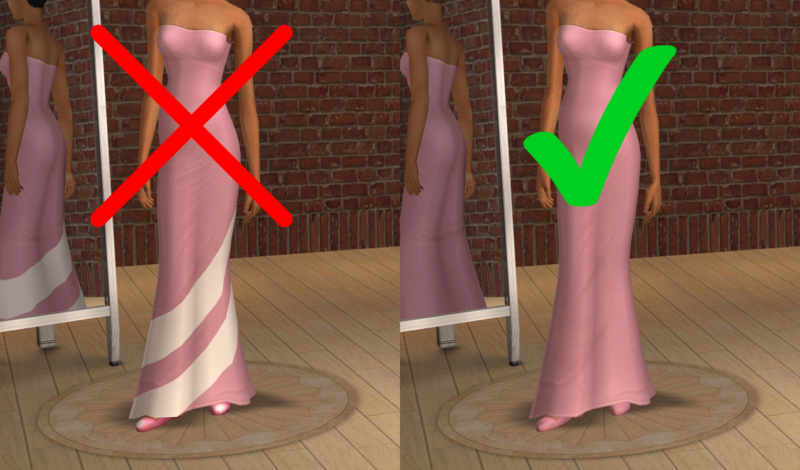 I've always liked this dress (bodydressformaltrumpet + the pink one) from the basegame, but the random stripes and shiny shoes of doom made it unusable for me, so I decided to fix it! 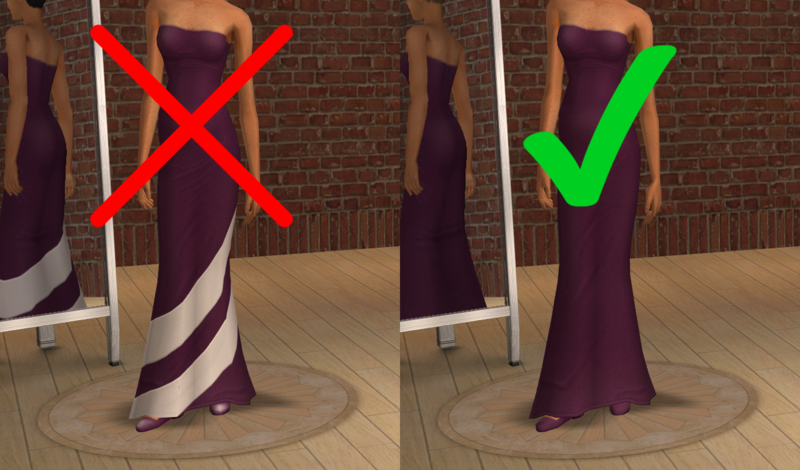 ''DEFAULT_BG_DRESS.rar'' contains one .package file and is a default replacement for both the purple and pink bodydressformaltrumpet dress from the basegame (it will replace the dresses' texture for both teens and adults). You can only have ONE default replacement for bodydressformaltrumpet in your downloads folder at a time! If you already have one, either replace it with mine or download my custom versions of the dress. ''AF_dress.rar'' and ''TF_dress.rar'' is a custom, non-default version of the dress. Both rars contains 2 files, the pink and purple dress. ''AF_dress.rar'' contains the dress for adult females, and ''TF_dress.rar'' for teens. This is my first creation, I think I've done everything right, but if you notice any mistakes, please let me know and I'll fix it asap! All I did was literally copy and paste texture from other parts of the dress to cover up the stripes in Photoshop, and drew over the shiny shoes - I haven't changed anything else. Do what you want with my clean version, new colors, anything! All I ask is for you to credit me for the clean version (it took me some hours to fix) and link back to this post here, or the one over at my tumblr. Also, no paysites whatsoever (including TSR). Other than that, go for it and happy simming! Thanks to Photoshop, SimPE and EA. Outerwear for children "SkiSuit" and "Comfort"
Fanseefem Sweaterdresses... for the Laydeez.